Kentuckians honor and celebrate the opening of a new bourbon distillery with a balance of pomp and reverence that is uniquely southern. On Thursday, January 31st, 2019, the eight-years-in-the-making Michter’s Fort Nelson Distillery in Louisville exemplified the tradition by hosting a who’s who of not just the bourbon industry but also social luminaries and the political elite. Opening festivities and speeches were held at the Frazier Museum, notable as the Official Starting Point of the Kentucky Bourbon Trail™ tour, and conveniently down the block from the new distillery. Even Kentucky’s Governor, Matt Bevin, carved a morning out of his schedule to attend. Willie Pratt, Michter’s first modern Master Distiller and a key member of the brand’s “resurrection” team attended in the audience. Reminiscences and reflections flowed from the Michter’s team with Pamela Heilmann, master distiller and Dan McKee, V.P. productions, each taking the stage. Andrea Wilson, master of maturation for Michter’s, presided as master of ceremonies. Joseph Magliocco, president of Michter’s, closed the speeches with heartfelt gratitude and a palpable relief that the long-in-development Fort Nelson Distillery vision had finally come to life. 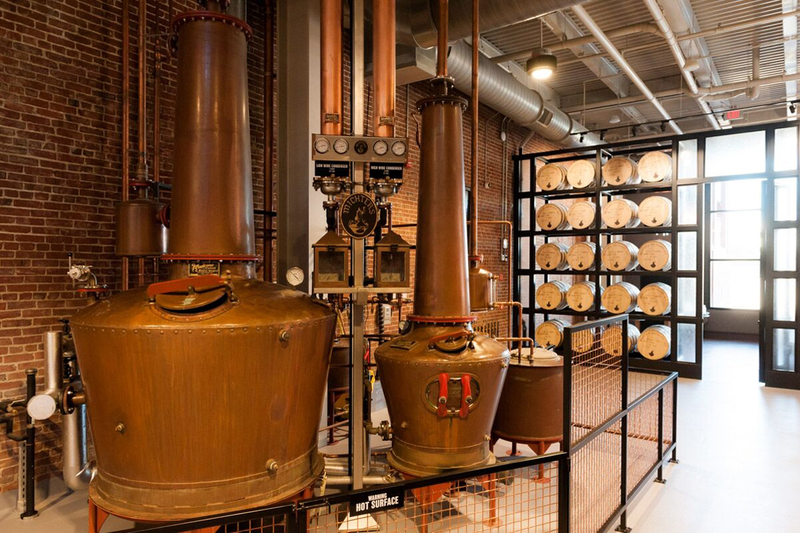 As the eighth distillery and visitor experience in downtown Louisville, Michter’s Fort Nelson Distillery appears fashionably late to the party. But the development of this distillery stretches back to the early days of Louisville’s “Bourbonism” concept, a term coined in 2013 by Mayor Greg Fischer when the first distillery since Prohibition opened there. 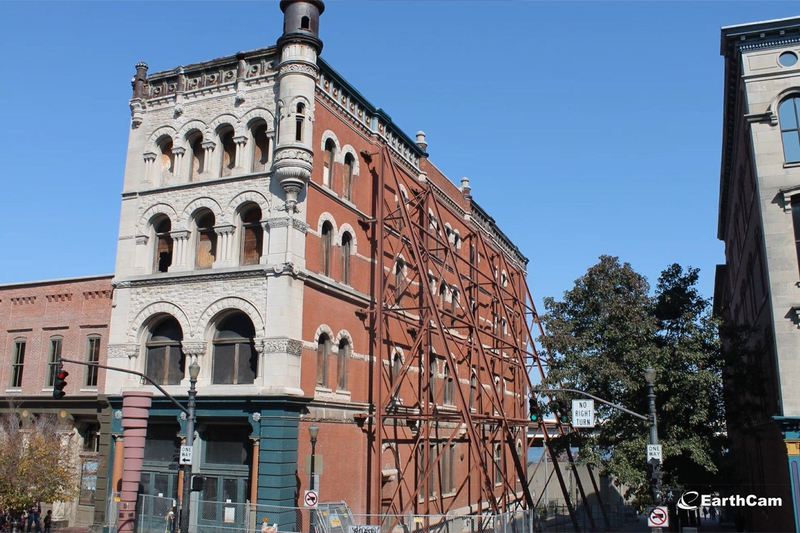 In 2012, when Michter’s purchased the building, it was in such disrepair that the floors were either highly suspect or entirely gone. In fact, the building had developed a tilt requiring some substantial engineering feats to overcome. Construction crews installed over 400,000 pounds of structural steel to reframe the building and provide space for a working distillery. Even now, only two of the four floors are currently useable space. While the unique architectural challenges were being addressed, work on exploring and restoring the history of Michter’s went on in parallel. The modern incarnation of the brand has focused on two main elements. First, the brand highlights the production of its high-quality whiskeys. Secondly, Michter’s honors its authentic legacy—which goes back (in fits and starts) to the earliest days of America. With this in mind, the Fort Nelson Distillery not only features, but actually uses cypress wood fermenters and a copper pot still from the Michter’s Pennsylvania Distillery, which traces its history back to 1753. 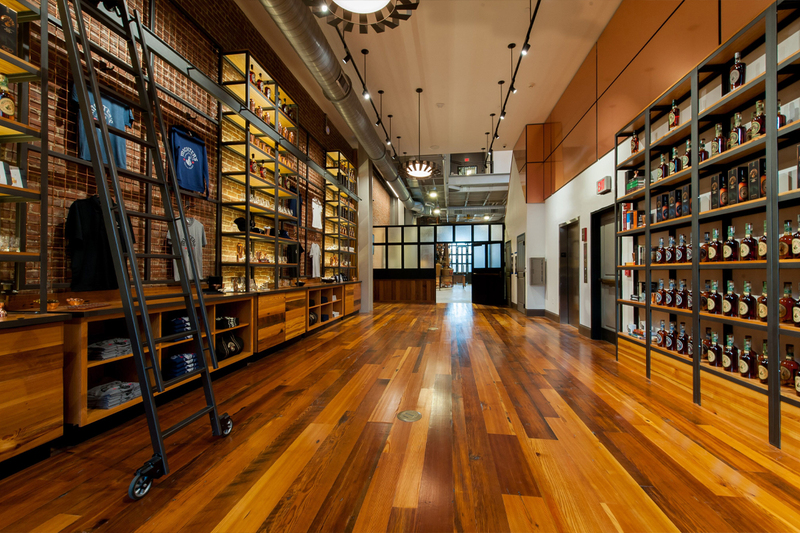 Guests enter the Fort Nelson building into the gift shop/visitors areas with a carefully curated display of premium Michter’s whiskeys and whiskey accessories. The tour itself lasts about an hour with tickets available for $20. To begin, guests are provided with a video exploring the history of the Michter’s brand and its modern resurrection. Next, the tour proceeds through all elements of whiskey production tracing each step from the water to maturation. Clear written descriptions and scientific visual aids label each component process, complementing the tour guide’s speech. While those components are common to all whiskeys, the tour experience gives an excellent introductory explanation for them. In addition, the tour explores Michter’s unique take on each one. For example, Michter’s uses an ultra-low 103 barrel entry proof which produces a richer, smoother whiskey. Naturally, a beautiful and historic small distilling operation in downtown Louisville is a fun tourist experience. But the bulk of the whiskey production is done at the Michter’s distillery down the road in Shively. Whenever there is a difference between the two distilleries, it’s explored in detail. For example, the use of double pot stills at Fort Nelson compared to the column still and doubler/thumper at Shively. The tour also includes a guided whiskey sensory training and concludes with cocktail instruction by one of Michter’s world-class bartenders. The bar on the second floor overlooks the distillery operation and boasts one of Louisville’s best cocktail lists. Cocktail historian and author David Wondrich consulted on a portion of the menu, helping to provide a rich authentic history for the mixed drinks to match that of the Michter’s brand. The Michter’s Fort Nelson Distillery and The Bar at Fort Nelson are located at 801 West Main Street in Louisville. The gift shop is open with tours available Thursday through Monday, early afternoon to early evening most days. Tickets may be purchased here. The Bar at Fort Nelson is open late on Thursday through Saturday.